There must exist a entry of a user or a group with access level of ‘Author’ with ‘Create Documents’ and of user type ’Person’ or ‘Person group’ who will be users of the application. 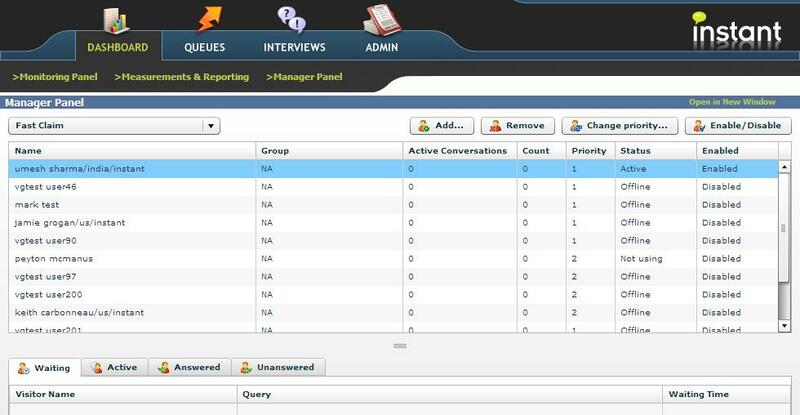 If no user listed as ‘Manager’ to a Queue then all the users who have access to the database can view all the Queues and users have access level ‘Editor’ or above can edit all the Queues. For rest of the users who have access to the database cannot view this Queue in any of the views and not even read their XML using URLs. 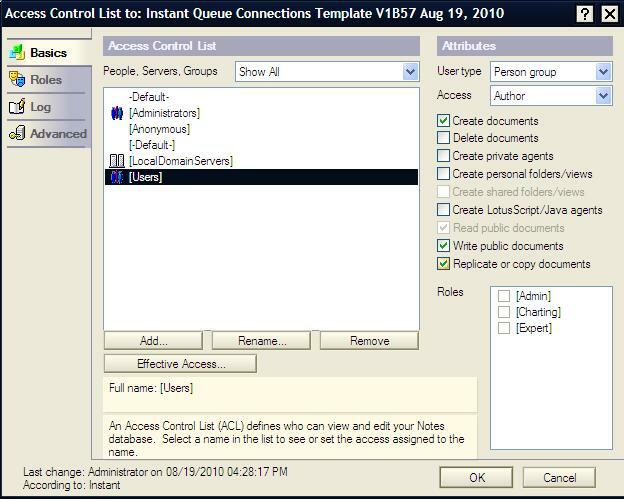 Suppose if a group or user needs to be given access and should be able to view all Queues irrespective of their names being specified or not in config settings or as managers of Queue then they should be added to the ACL of the database with minimum access of ‘Editor’ with ‘Create documents’ and ‘Admin’ role enabled. Users should be listed under Admin --> Settings --> Security to view and manage Queues using ‘Manager Panel’ of ‘DashBoard’ section.